An administrator says that discussions with several investors for various parts of the company ultimately led to nothing. Almost two months after filing for bankruptcy, Germania now says it will shut down permanently. All of the company’s 1,700 employees are to lose their jobs. However, subsidiaries in Switzerland and Bulgaria – Germania Flug and Bulgarian Eagle – are not affected by the bankruptcy. The administrator Rüdiger Wienberg says he was in talks with a potential investor for flight operations and two other investors for the MRO division, ATW reports. Simultaneously, he also tried to sustain the company through its wet leasing business but this proved impossible. “It was clear from the beginning given the circumstances that it would be extremely difficult to rescue Germania,” Wienberg said in statement. 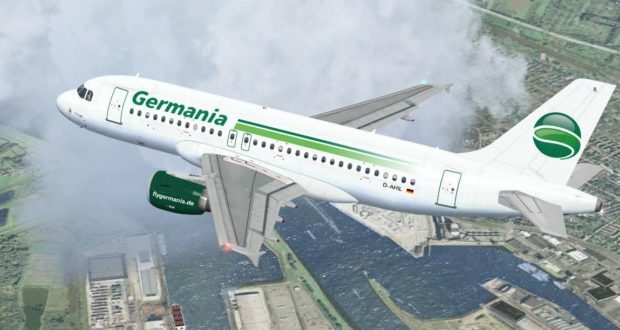 Germania began as a charter carrier in 1978, then moved towards becoming a scheduled airline while keeping some charter flights. It flew to destinations in Europe, North Africa and the Middle East from 12 bases in Germany. Following the bankruptcy of airberlin in 2017, it tried to take a bigger share of the German leisure market despite doubts about its ability to finance the expansion – and doubts about how it could finance an order for 25 new A320neo aircraft.